Roger Ailes' Unparalleled Impact On The Public Sphere No contemporary figure has done more to shape the intersection of American media and politics than Roger Ailes. He was forced out of Fox News this week following allegations of sexual harassment. Fox News CEO Roger Ailes in his New York City studios in 2006. 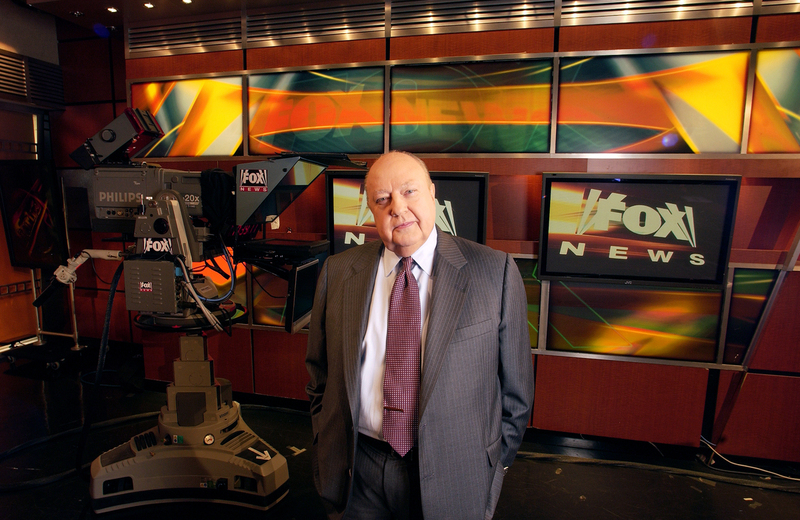 Ailes served as CEO from Fox News' first day in 1996. Then Ailes gave a turbo boost to the Republican movement in the mid-1990s, just in time to fuel opposition to the Clinton White House, with the creation of Fox News. It was a partnership and mind meld between Ailes and his new patron, media magnate Rupert Murdoch. Fred Barnes, executive editor of The Weekly Standard and a familiar figure on Fox News, told me the new network gave conservatives hope. "They were so used to thinking that the media was completely barren as far as they were concerned," Barnes said. "There was nothing there for them. It was all for liberals. And then Fox comes along — and they really glommed on it." 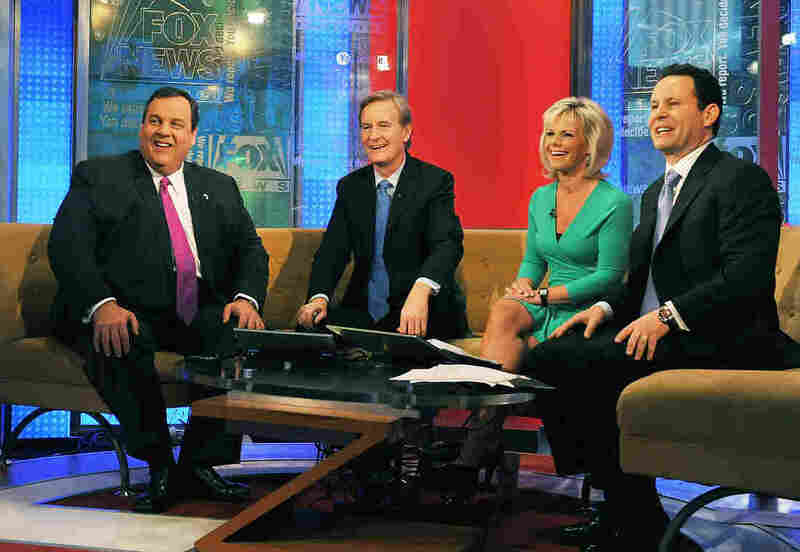 Fox served as the home of debate within the conservative movement. At its default setting, Fox blended pugilistic, right-of-center populism, resentment of changing demographics and sexual mores, and a strong nationalistic tone. Fox News' success also drove television news as a whole more toward conflict, given its emphasis on assertion over reporting. Ailes, an Ohio native, enjoyed his first big professional success in Cleveland, as a producer of a local variety and talk program called The Mike Douglas Show. Roger Ailes was a political consultant in 1971, advising many leading Republicans, including Ronald Reagan, George H.W. Bush and Karl Rove. In one such encounter, former college football coach Bud Wilkinson, a Nixon fan and friend, served as moderator. "No one has any idea what questions will be asked," Wilkinson told viewers. "Mr. Nixon cannot possibly know. His answers must be immediate and direct — and our panel is representative." 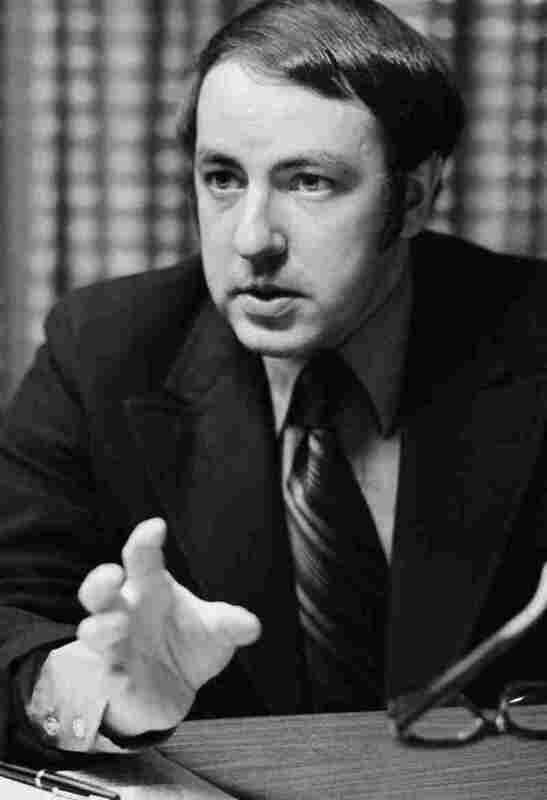 He advised President Reagan's re-election campaign in 1984, helping Reagan revive his fortunes following a disastrous first debate against Walter Mondale. Reagan dominated the second debate with remarks that became political legend. Pressed on his age, for example, Reagan said, "I will not make age an issue of this campaign. I am not going to exploit for political purposes my opponent's youth and inexperience." Reagan never looked back. In 1988, Ailes played a key role in George H.W. Bush's White House bid. A climactic moment arrived early that year. Ailes warned Bush that CBS News anchor Dan Rather was primed to go after him on the Iran-Contra scandal during a live interview. The conversation turned testy. Bush ordinarily displayed a patrician reserve. Ailes goaded Bush to rumble. When pressed by Rather, the vice president roared back, "It's not fair to judge my whole career by a rehash on Iran. How would you like it if I judged your career by those seven minutes when you walked off the set in New York?" That year, Ailes published the book, You Are the Message, a primer on how candidates and corporate executives should communicate with the public. He proceeded to manage several unsuccessful Republican campaigns, starting with Rudy Giuliani's first mayoral bid in New York City in 1989. Ailes left politics once more, though hardly definitively. He produced Rush Limbaugh's radio show and then joined CNBC to build it up into a recognizable version of what the channel is today. He later jumped at the chance to run Rupert Murdoch's Fox News — defined as an alternative to the liberal media at its launch in fall 1996. 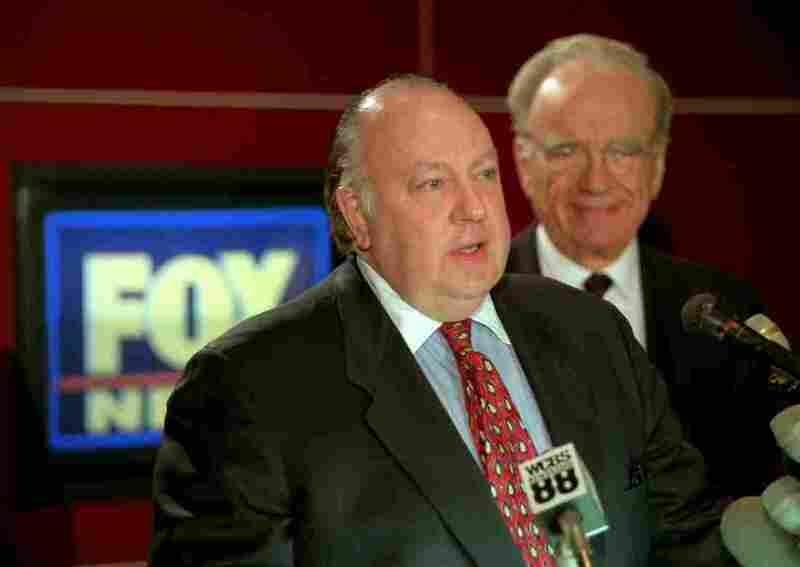 Roger Ailes (left) speaks at a news conference with Rupert Murdoch in January 1996 after it was announced Ailes would be chairman and CEO of Fox News. The channel draped itself in patriotism — a constant Ailes refrain. Fox would become the top-rated cable news channel and has remained so ever since. "At Fox, everything is due to Roger," Fred Barnes said. "It was entirely his vision. And what he created — one guy creating that. I'm still amazed." In a 2009 appearance on Fox & Friends, Glenn Beck, who at the time hosted his own show on Fox, said of President Obama, "This president, I think, has exposed himself as a guy over and over and over again who has a deep-seated hatred for white people or the white culture." Ultimately Beck's conspiracy-driven rhetoric and his belief that his star shined brighter than the network's was too much for even Ailes, who did not renew Beck's contract. Ailes never fully shed his partisan activities. He counseled President George W. Bush's chief adviser, Karl Rove, during the invasion of Iraq. Above all, Ailes wanted Fox News to referee Republican Party politics. Kelly said, "You've called women you don't like fat pigs, dogs, slobs and disgusting animals." Trump interjected, "Only Rosie O'Donnell." "No, it wasn't," Kelly said. One of Ailes' former executives once told me you just had to watch Fox to understand his obsessions. Female presenters on Fox were often overtly sexualized. They were steered to wear revealing outfits, while cameras lingered over their legs. 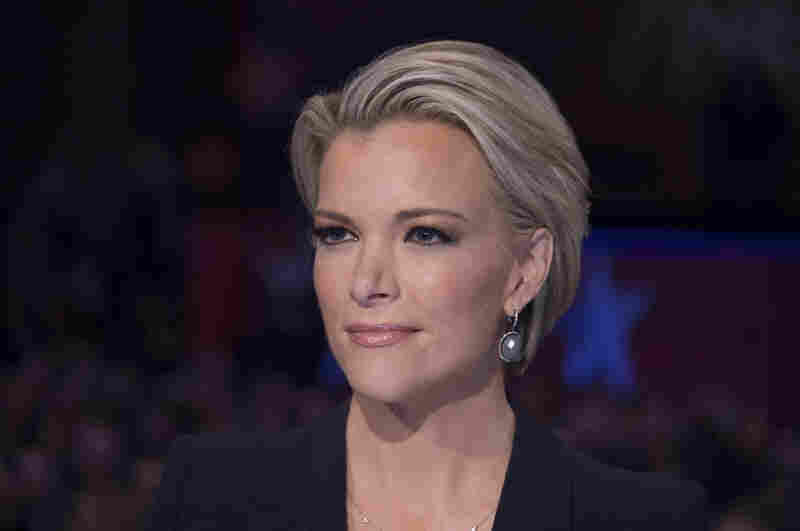 Megyn Kelly, by contrast, held back from public comment and cooperated with an inquiry set up by parent company 21st Century Fox. She reportedly told the law firm Paul, Weiss, Rifkind, Wharton and Garrison — which was conducting the inquiry — that Ailes had harassed her, too, when she was a young reporter in the network's Washington bureau. Others have also come forward. Ailes' management style knit together fierce loyalty and paranoia. Many Fox News journalists have told me of their deep fears of offending Ailes, including one who, like Carlson, says she was sexually harassed by him in recent years. One way such loyalty can be enforced: Ailes' PR department has peddled negative stories about colleagues who fell out of favor. In one instance, a publicist successfully planted a story in the Washington Post depicting then-anchor Laurie Dhue as drunk at a black-tie affair; after leaving the network, she acknowledged she was an alcoholic. Her lawyer said Thursday she, too, is writing a book about her interactions with Ailes and others at Fox. Carlson's attorney, Nancy Erika Smith, tells me the payment of such an astonishing sum to get Ailes to resign falls short given all the accusations against him. Until Carlson's lawsuit, Ailes' charisma, his accomplishments and his stature held sway.